Which?, the consumer champion organisation, is running a hard-hitting print campaign highlighting the government's slowness to act on improving product safety. The ad by Grey London urges the government to take action on improving the safety of faulty domestic electrical goods, which cause 60 house fires every week. 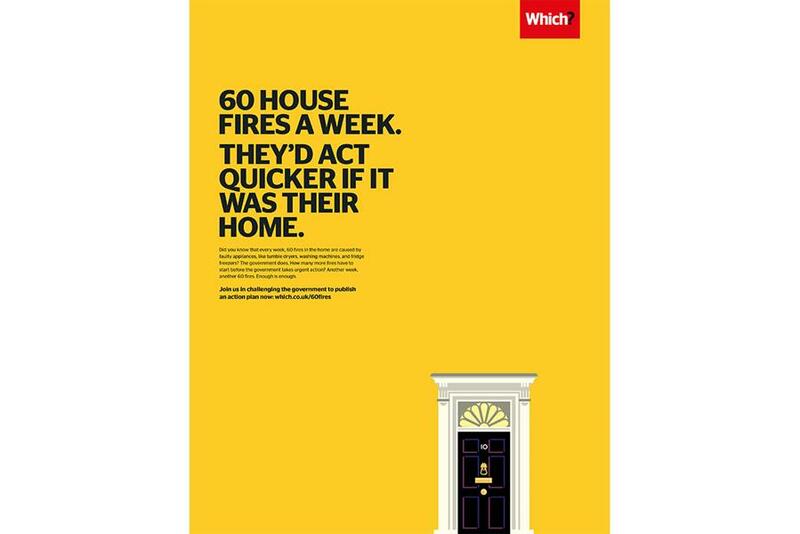 It asks whether the government would be quicker to act if such dangers occurred at Number 10, and invites readers to demand action at which.co.uk/60fires. The campaign was written by Sam Haynes and art directed by John Gibson.